Bring on a 30-day video challenge! VIDEO is the way to go!!! If you believe you have a message to share with the world, whether to promote your own business or a cause you believe in, or just to have a rant about the world …. 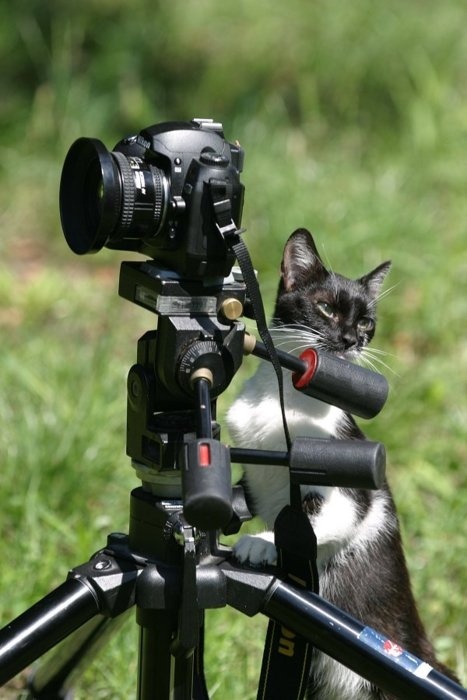 Videos are a great way of being real and a fast way of building rapport with people, and brings your marketing alive! I get that it’s a challenge to video yourself and that you have no idea what to chat about (even though I do know that some of you suffer from verbal diarrhea?!) 🙂 I’m not professing to say that I’ve perfected this in the slightest. I took part in a 30-day video challenge myself and found that extremely useful which is why I’ve set myself the challenge of doing another 30 days. I found having the support of a group of like-minded people fantastic and I can imagine doing the challenge with people I actually know this time would be even more fab. We can help support each other with feedback and you don’t have to make your video public till you’re ready. The whole idea about this challenge is to just get comfortable talking to camera, so that you can then start using video to blog. So … CONNECT WITH ME on facebook and I’ll add you to the group! So, come on … 🙂 Be BRAVE and CHANGE THE WORLD! PS. If you are interested in coming across really polished and slick on camera, check out Michelle Holmes. I took part in her 30-day video challenge. PPS. If you would like to get your voice out there and do not yet have an offer or a funnel or an actual way to GENERATE LEADS WITH VIDEO MARKETING then Click Here now and see which one I recommend.